In all felony cases in the state of California, all criminal defendants have a constitutional right to a preliminary hearing within 10 court days and/or 60 calendar days after their arraignment on the charge(s). In a preliminary hearing, the prosecutor has the burden of proving, with the preponderance of the evidence, that there is sufficient cause to believe that the defendant committed the crime(s) alleged against him or her. Not to be confused with “guilty beyond a reasonable doubt” but a lower standard of probable cause to believe the defendant committed the crimes he or she is accused of. If the judge determines that the prosecutor produced enough evidence to fulfill their burden, you will then be “held to answer” and the original complaint will turn into the “information.” The following court date, you will be arraigned on the information and will enter a not guilty plea. The case will then fall into its “pretrial” stages. Now that you’ve been arraigned on the information, your criminal defense attorney can file a P.C. § 995 motion to dismiss all or some of the counts arguing that there was insufficient evidence produced at preliminary hearing to hold you to answer. For instance, if you’re held to answer for possession with the intent to sell and the prosecutor introduces the fact that you were arrested for possessing two pills of ecstasy, your attorney will file a 995 motion claiming that two pills is insufficient to prove you intended to sell the pills, rather two pills is consistent with mere personal use. 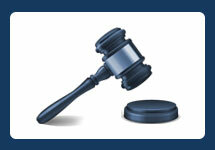 If successful, the judge will set aside the information and the case or charge(s) will be dismissed. It should be noted that the prosecutor need not produce all their evidence at preliminary hearing, therefore, the prosecutor may elect to refile charges against you. In that instance, the case will start all over again. 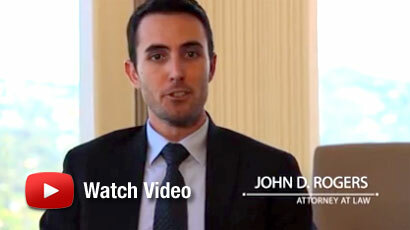 If you have been arrested, charged, or under investigation for any criminal offense, then contact Los Angeles Criminal Defense Attorney John Rogers at the Law Offices of John D. Rogers. Call 877-888-9820 for a free confidential consultation concerning your rights and defenses.